.The signature of the decree follows an offtake agreement signed on 14 April by another company of the same group, Rainbow Rare Earths Limited, withThyssenKrupp Metallurgical Products GmbH, part of the German ThyssenKrupp group. According to the deal, the German firm will purchase 5,000 tonnes per annum (“tpa”) of Rare Earth concentrate or downstream products resulting from this concentrate. Besides, Rainbow appointed ThyssenKrupp Metallurgical Products as its exclusive agent for sale worldwide. Production should begin during the last quarter of 2015, says Rainbow’s Managing Director, Martin Eales. We’ll see how ThyssenKrupp will position itself, should the political crisis in Burundi continue. inequality is already at unusually high levels. Where initial inequality is high, it is to be expected that economic growth delivers less poverty reduction, since the absolute increases in income associated with rising average incomes will be that much smaller for the have-nots versus the haves. Moreover, the degree of inequality that exists on the continent is worse than it looks. The fact that Africa is divided into so many countries masks big differences in income between them. If Africa were a single country, its inequality would look much worse—worse even than Latin America. 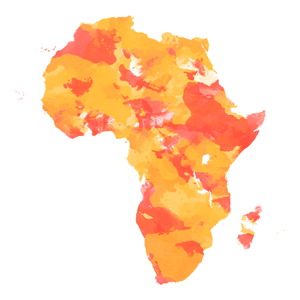 Since incomes across African people vary so widely, only a fraction of people are likely to cross the poverty line at any one time. That contrasts with India where a concentration of people immediately below the $1.25 mark means that even a small increase in incomes can result in a sudden flood of people moving above the poverty line. Another important factor: Many of the poorest countries are not benefiting from the continent-wide growth trend. This is due to conflict (DR Congo) or bad governance (Madagascar). So again, Tinubu comes out against austerity and in favor of using infrastructure projects to create jobs. The APC’s political survival may ultimately depend on its ability to alleviate poverty, so it will important to see whether and how these ideas translate into policies and projects after Buhari’s inauguration on May 29. The speech, and the reference to the manifesto, bring up another important point. The trope of “African politics is not about issues” is so deeply entrenched in international media coverage that you can frequently watch Western journalists reflexively assume that Buhari and the APC have only vague policies, despite evidence to the contrary. Gulf of Guinea: who will win the oil battle? The disagreement began in 2007, when Ghana discovered the so-called Jubilee oil field located on the shared border. To avert any trouble, the Ivorian and Ghanaian authorities created a joint commission in 2008. However, this did not stop Ghana from continuing its offshore exploration and allowing Tullow Oil, a British company, to develop Jubilee in 2010. In 2013, Côte d’Ivoire responded by awarding French oil company, Total, a licence to operate in an oil field in the same zone. The disputed maritime space could have been transformed into an area of common interest if the countries had signed a petroleum product-sharing contract with an agreed allocation, as Nigeria and São Tomé and Príncipe had done in 2001. The former received 60% of the production and the latter 40%. They could also have created a joint operating company like Libyan-Tunisian Joint Oil, which was founded in 1988 by Tunisia and Libya to resolve their maritime border dispute, and whose profits are divided equally between the two countries. It is unfortunate that these two member countries of the Economic Community of West African States (ECOWAS) have instead chosen to confront each other in an international court. But the process is not irreversible, as Ivorian and Ghanaian authorities could still withdraw their requests and return to the negotiating table. If not, they are heading towards a sentence that could damage their peaceful history. Source: ISS Africa | Gulf of Guinea: who will win the oil battle?